Every site has its own challenges and our new site in the heart of Leicester is no exception. Deeply wooded and overgrown, a plan was needed to ensure the regeneration of the area was not only efficient and had little impact on the neighbours but should also be good for the environment. 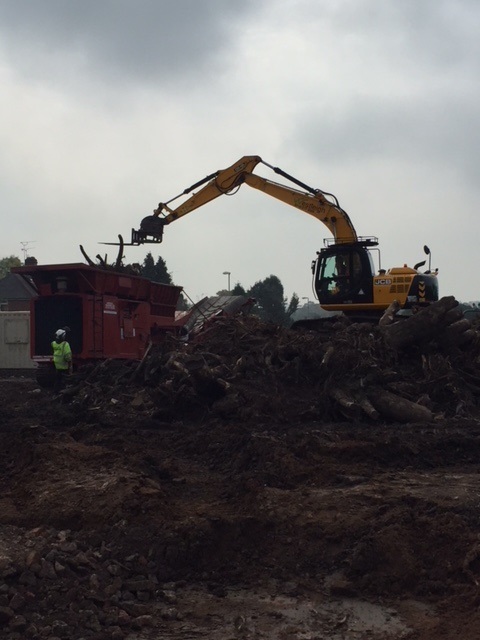 In a bid to maximise the recycling output of the site, and to also reduce our carbon emissions through reducing the amount of lorries leaving site, we decided to manage the forest waste on site to ensure we kept to these values. Employing Kingwell Holdings to grind the material has ensured the waste can be 100% recycled and not sent to landfill and has also cut the lorries for waste in volume by 80%, vastly reducing our fuel usage, C02 and the danger of having a large volume of lorries on our neighbouring roads. Entry submitted by Westleigh Partnerships.